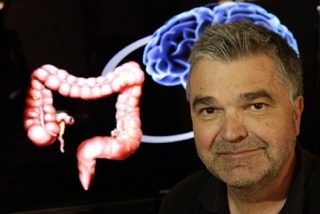 Almost all of us can remember a time, early in our lives, when we faced a big decision, and our mother told us to “go with your gut.” Well, no need to tell Mom, but her wisdom has once again been vindicated. Science has proved it. 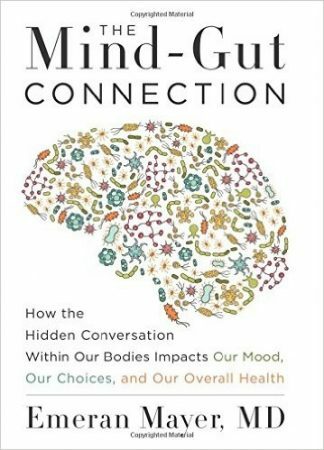 And it’s all in an intriguing new book on the mind-gut connection by one of UCLA’s renowned faculty members. Mayer’s book covers nothing less than the full range of human emotion and experience. In a taut, fact-filled narrative that will appeal to lay-person and expert alike, he explains everything from the new science about how microorganisms living in your gut can influence your emotion and your brain health, to lessons we can learn from prehistoric hunter gatherers living in the Amazonian rainforest, to 10 simple ways to maintain optimal health. Steps we can take to decrease our risk of developing neurological diseases such as Parkinson’s and Alzheimer’s. With simple, practical advice drawn from his vast clinical experience and the latest research, Mayer shows us that paying attention to the mind-gut balance is the key to unlocking optimal health. Even the White House has recognized the microbiome’s importance by launching the National Microbiome Initiative in May of this year. If you are interested in learning more about Mayer’s book, you can visit his website: emeranmayer.com or Amazon.